Meet the deadliest box jellyfish venom. Since 1954, this animal has made more than 5,568 people died. It is equipped with 500,000 harpoon shaped needless that can infect the people with poisons. Another underwater animal is seen on turtle facts. The umbrella shaped body of jellyfish is made from gelatinous material even though 90 percent of it body is made from water. Jellyfish is not actually a fish. The shape is totally different. The American public aquarium wants to term it as a jelly or sea jelly to differentiate it with fish. 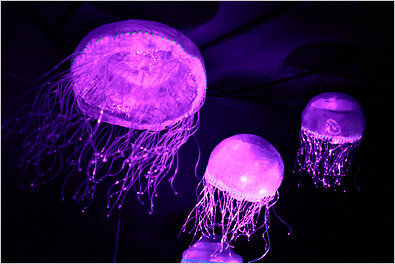 Jellyfish can be found on the water whether it is on the fresh water, under water, sea and ocean. 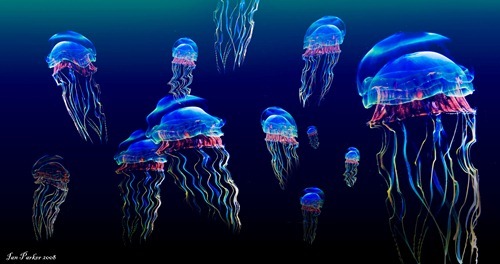 The first appearance of jellyfish was estimated 650 million years ago. Look at coral reef facts to know more about the habitat. 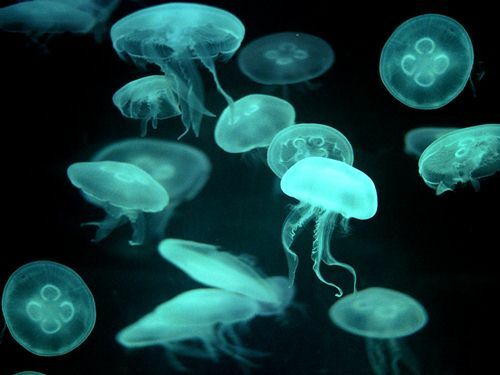 You need to call a group of jellyfish as a swarm or a bloom. You can call it dumb if you want too because jellyfish does not have any brain. But it has a nerve net. It consists of a loose network of nerves. 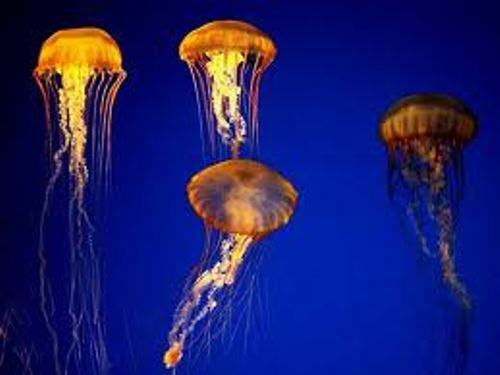 There is no need for jellyfish to have any respiratory system. It can get enough oxygen to stay survive by diffusion. Jellyfish has different types. The largest one is lion’s mane jellyfish. It was in 1870 that the largest species was found in Massachuset bay. The tentacles can reach 120 feet and diameter of 6 feet and 6 inches. 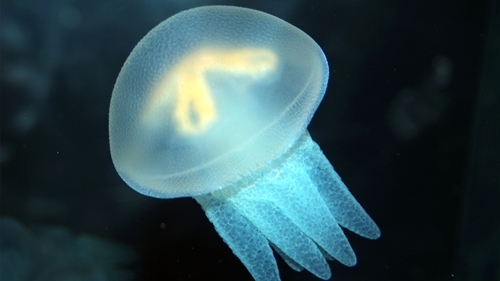 Jellyfish is a dioeciously animal. It will be hard for you to distinguish it whether it is female or male. The reproduction happens if it releases egg or sperm into water. The new organism of a young jellyfish will be formed when the unprotected egg is fertilized by a sperm. It will be fun for the kids to scrutinize the sea jellies because of their sparkling and interesting shapes. The umbrella is unique because there are no other animals in the world which carry the similar features. You can take the kids on the aqua marine park to look at other water animals in the world such as jellyfish, dolphin, whale, fish, seal and many more. It can make them fascinated with water animals. Are you interested to gain more facts about jellyfish?